Electricity prices have all of us looking to ways to reduce energy consumption. Here are some ways to save Money on heating your home. Thick curtains – The best way to prevent heat escaping your home through the windows, install curtains with a thermal lining. The thicker the fabric the better, even placing curtains in doorways can help it escaping the room. 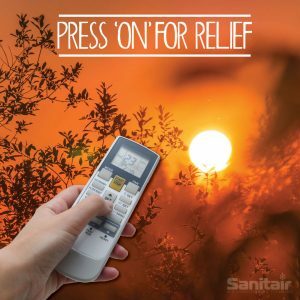 Let the sunlight in – during the day and close the curtains as soon as dusk falls to maximise on retaining the heat. Close off unused rooms – the quickest way to heat up a room is to stop the heat from escaping. Close any doors to room that you don’t need to heat such as the bathroom or laundry. Cover the Floor – If you have a tiles or floor boards in your room cover with a large rug. Not only keeping your feet warm but also adding to the psychological effect of a cosy room. 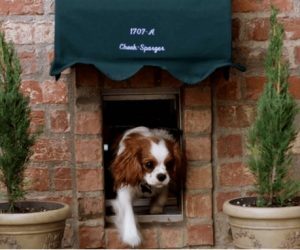 Close Pet Doors – Heat can easily escape from your Doggie Door, make sure to close if not needed while you are in the room. Professionally clean your Air Conditioner – Save up to 28% on energy costs by having a professional HVAC Hygiene service and improve indoor air quality. Set your Aircon Timer – Set your air conditioner to come on earlier (dusk) and gradually heat up the room, rather than trying to heat the room quickly. Call one of our friendly locally owned Sanitair HVAC Hygienists 1800 130 168, we have over 65 branches across Australia. 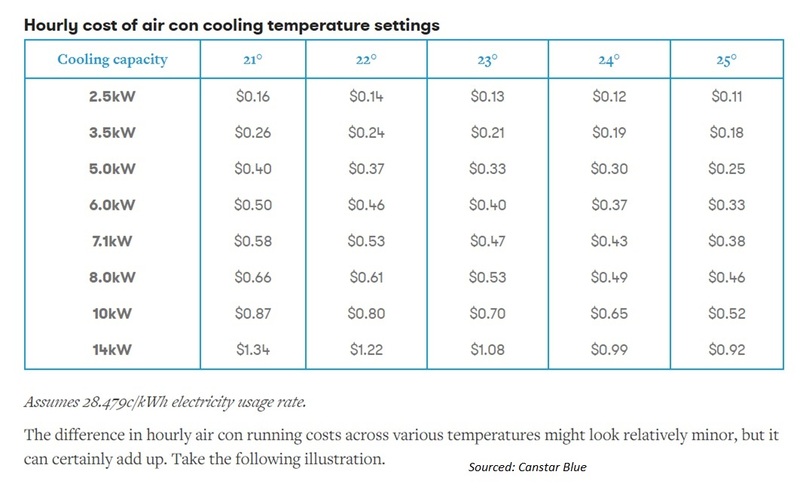 How much does your air conditioner cost to run? With energy prices at an all-time high, this is the question on everyone’s minds. On hot days we all turn on the air-con trying to keep cool, yet some of us don’t due to high energy costs and not knowing exactly how much more it will cost to keep us cool. How much is it actually going to cost to use your air conditioning? A lot less than what you might think. The average reverse cycle air conditioner in a medium sized room (36sqm) costs $0.36 – $0.70 per hour to run on the cool setting. A domestic ducted air conditioning reverse cycle system draws the most power, using an average $2.45 – $3.45 per hour to run. 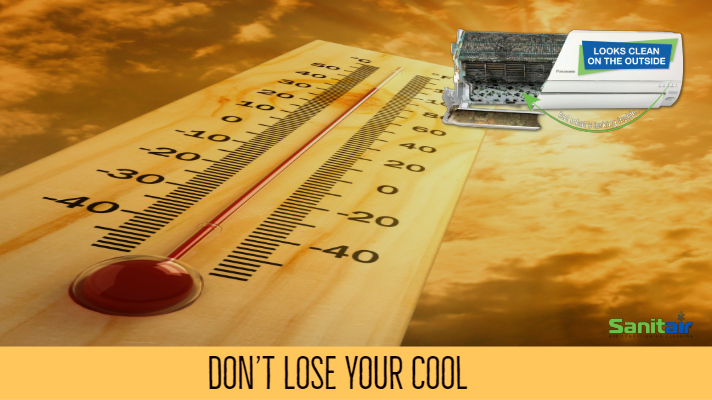 It doesn’t have to cost the earth, if you manage it correctly you can keep your house cool by following the Tips on keeping your house cool and using the air conditioner when you need it the most. The air conditioner coils, if contaminated cannot effectively cool down the air that passes over them resulting in the system working harder and setting the temperature lower to get the desired cooling effect. This means you will be using more energy to cool the room down and also recirculating the contamination back into the room. The harder the aircon works, the more energy it will use. Lowering your temperature setting will increase your energy usage. Ergon Energy estimates every one degree cooler in the summer months can add 10% to the electricity usage that the air conditioner uses. 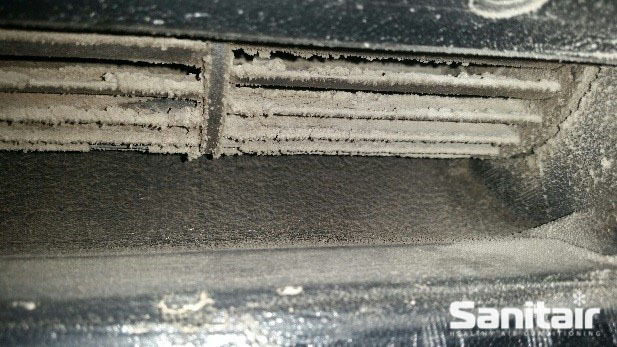 A Sanitair HVAC Hygienist can effectively remove contaminants and ensure 12 months mould free guarantee on your indoor air conditioning coils. Saving you money and improving your indoor air quality. Call your local Sanitair HVAC Hygienist 1800 130 168.